Avoid hiring a florist who might be a thorn in your side by carefully interviewing three or four different shops before signing a contract. These 10 essential questions (and their answers) will help guide you to the best decision, the best service, and most beautiful floral display for your wedding. If your date is available, the next thing to do is ask what deposit is required to hold the date. What is your cancellation and/or reschedule policy? It seems like a negative question, wedding do get cancelled and rescheduled for many reasons. You might decide on a different florist later, have a death in the family, or reschedule the date for some unanticipated reason. You need to know the answer to this question, and have it in writing. This is a standard question. Some shops will charge a separate fee for setup and delivery, while others include it in the cost of your flowers. You just want to make sure you have all the costs up front so there are no surprises later. Have you done flowers at my ceremony and/or reception location before? If they have, they may have some photos you can look at or some floral ideas you haven't thought of. If they haven't, it's not necessarily a problem. You may want to arrange a time to meet them at the location to have a look at the layout. Do you just deliver the flowers, or do you stay to help distribute the corsages, bouquets, etc? If you've hired a wedding coordinator, this may not be necessary. You could also have someone in your family help with this task. At a minimum, you should ask the florist to label everything so whomever is helping you will know who gets what. What time will you be at my site(s) to setup? There's not necessarily a right or wrong answer to this question. You just want to be certain that things arrive on time, but not so early that your flowers will not look fresh when the wedding begins. Some florists will rent archways, candelabras, runners, and other decorative arrangements. Be sure to shop around with local rental companies, as well. The florist may be higher in price for these items. 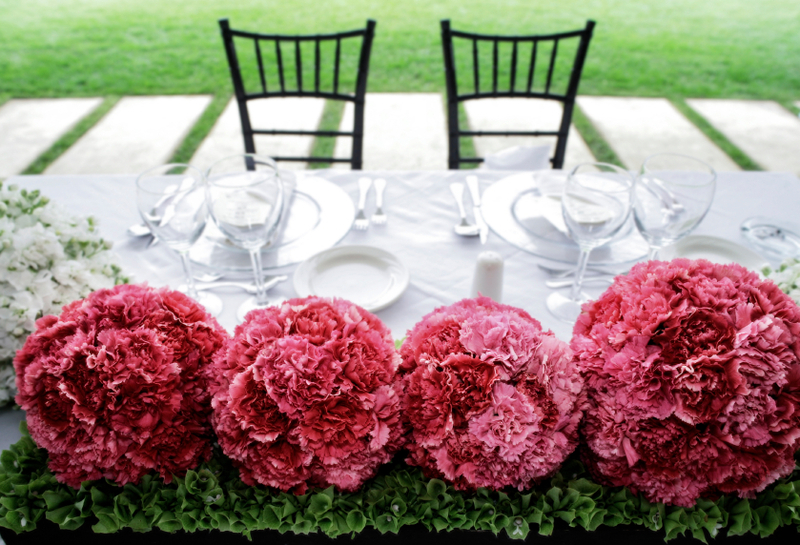 Do you offer silk or dried floral arrangements? If you want to keep your bouquet or allow your family members to keep their corsages and boutonnieres, you might want to consider silk or dried arrangements. You can also make these yourself by purchasing stems at a local craft shop. Another option is to have your live floral bouquet freeze-dried after the wedding. What items will need to be returned to your shop and what is your return policy? You will obviously have to return any rented items, so be sure to ask the return policy on these. You also might be required to return any plant stands or other items not included in the cost of your actual arrangements. Be sure to ask ... again, to avoid surprises. Your best source for unbiased information is another bride who used this florist at her wedding. Ask the florist for references. 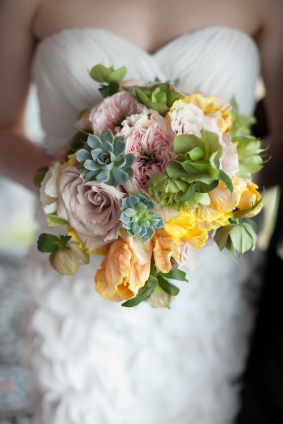 Selecting a florist is like selecting any other vendor. Be sure to comparison shop and take good notes at each interview. After you have met with three or four florists, you'll be able to make an informed decision and get the biggest floral bang for your wedding budget. What additional questions would you ask (or did you ask)? Please share here so other brides can gain the benefit of your experience!